Social and environmental standards are increasingly the focus of consumers who are concerned about sustainability. We are pleased about this because, as a member of both amfori and Sedex, we make public the extent to which our products achieve sustainability along the entire supply chain. Transparency is an important factor in protecting the rights, health and safety of people who work in production. Taste our environmentally friendly products and feel free to contact us about our certified Fairtrade and organic products. The high standard of quality and safety of our products is regularly inspected and certified by independent testing institutes. 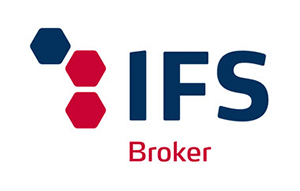 We as a commercial enterprise comply with the IFS Broker Standard and all of our production companies with the International Food Standard (IFS Food). Deutsche Landwirtschafts-Gesellschaft (the German Agricultural Society – DLG) is one of the most important official bodies for the independent quality assessment of food. Only food products made with the choicest primary produce and with optimum processing and preparation are deemed worthy of a DLG medal. We are therefore immensely proud that, in recent years, various of our products have been honoured with the most prestigious awards for food quality and taste that the DLG has to confer. All of our Fairtrade-certified products are grown and distributed in compliance with the international standards of Fairtrade International. The Fairtrade standards lay down rules that must be adhered to along the entire value chain. They include social, environmental and economic criteria to ensure the sustainable development of producer organisations in developing and emerging countries. BSCI – A business that believes in fairness for all! Since 2008, we have been a member of amfori (formerly known as FTA) and a successfully participant in BSCI (Business Social Compliance Initiative). Our involvement means that we are committed to compliance with social and environmental standards that apply across the entire production process of our goods. We are especially mindful of the welfare of the people who work in production. Protecting their rights and their health and safety is a very important obligation for us, both as a supplier and as a producer. We reproduce here the BSCI Code of Conduct which we have signed up to. Organic – More than just healthy food! Our organic food is sourced from ecologically monitored cultivation. This is good not only for people but also for the environment. It is grown without the use of pesticides and artificial fertilisers. In this way, the groundwater is protected and there is a significant reduction in the emission of harmful greenhouse gases. Organic crops are grown without the use of genetic engineering. Plants are not genetically modified, nor is livestock given genetically modified feedstuffs. Thanks to our transparent production chain, every product can be traced back to its origin. At least once a year, all of our agricultural suppliers are checked for full compliance with the ecological guidelines. 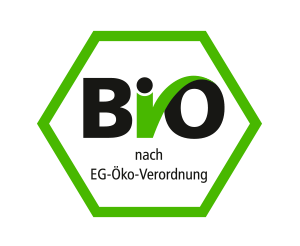 We are certified in accordance with EC Organic Regulation No 834/2007 (inspection body: DE-ÖKO-012) and are therefore able to supply you with organic products of your choice. Just contact us. Sedex (www.sedexglobal.com) is a global not-for-profit membership organization. It is home to one of the world’s largest collaborative platform for buyers, suppliers and auditors to store, share and report on information around labour rights, health & safety, the environment and business ethics. We use this platform with more than 38.000 members in over 150 countries to monitor and report on responsible practices.